3,Zinc coated steel,Anti-corrosion for 10 years . 4,Covered by high quality alloy and tempering glass. 5,Adapt to a variety of outdoor ambient temperature. 6,Automatically adjust the brightness according to ambient light intensity. 7,Cooling Fans system avoid high temperature. 8,Supports remotely monitoring the running of the device. 42 inch High Brightness Outdoor LCD Digital Signage(FH-WO420A) is a LCD Display with an integral media player with super high brightness up to 2500nits,sunlight readable LED backlight , Media files are stored and played back from USB memory card. When you boot the machine up, it would auto read those files(video/photo) from memory card simple one. Built-in industrial air condition,automatically thermostatic. Front Tempered glass is strengthen 6mm AR glass,Anti-explosion and reflection. Wall mount, roof hanging and free standing(fixed on ground) all available. 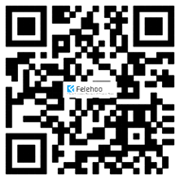 Support video, flash animation, images and text mix broadcasting. Adopt B/S structure,no need to install clients,user can open the IE browser to login the management software to do any operation from any computer.It also support Cloud server. Support most of the video format:rm/rmvb/avi/mpeg/mpg/dat/mov/asf/mtv/mkv/wmv, 3gp/amv/dmv/divx etc), audio(mp3/wma/wav etc), picture(jpg/gif/png), word/excel,pdf, RSS news,flash,dynamic webpage. 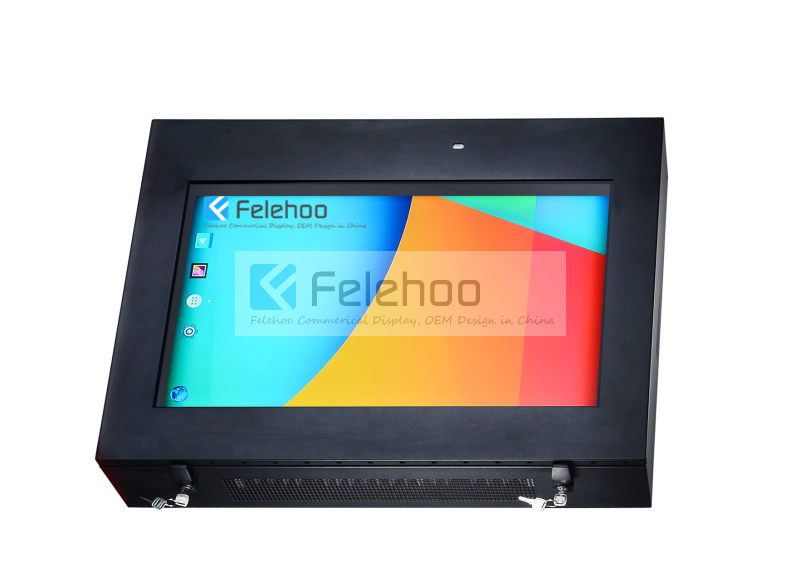 Remote monitor,contents transfer,time synchronization,volume adjust,download speed limited,auto power on/off,remote control,touch management. What is Outdoor Advertising Display? 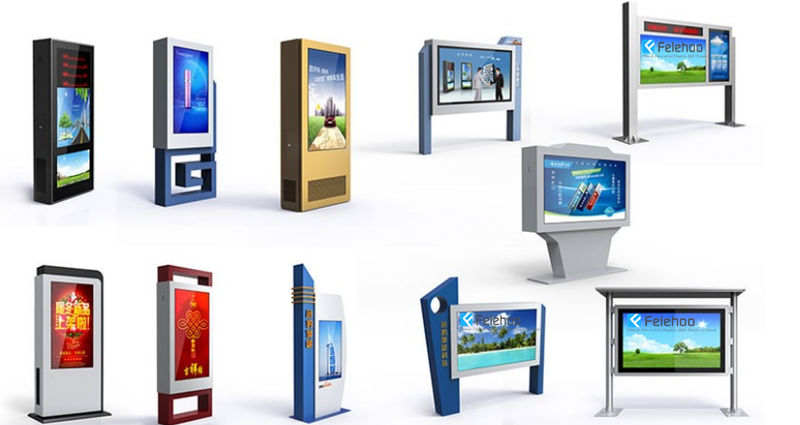 Advertising using digital signage system is a form of out of home advertising in which content and messages are displayed on digital signs with a common goal of delivering targeted messages to specific locations at specific times. What benefits you get of using Advertising Display as marketing tools ? Where LCD Advertising Display can be used? LCD Advertising Display are perfect digital advertising display at retail points and public locations where you want to display your digital advertisements repeatedly, and don’t require changing / updating your advertisements content frequently. Which size of LCD Advertising Display do you have? 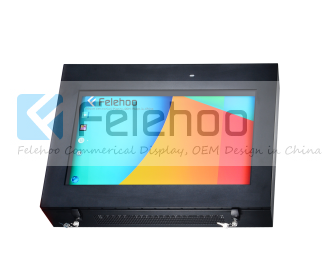 Why choose felehoo LCD Advertising Display ?